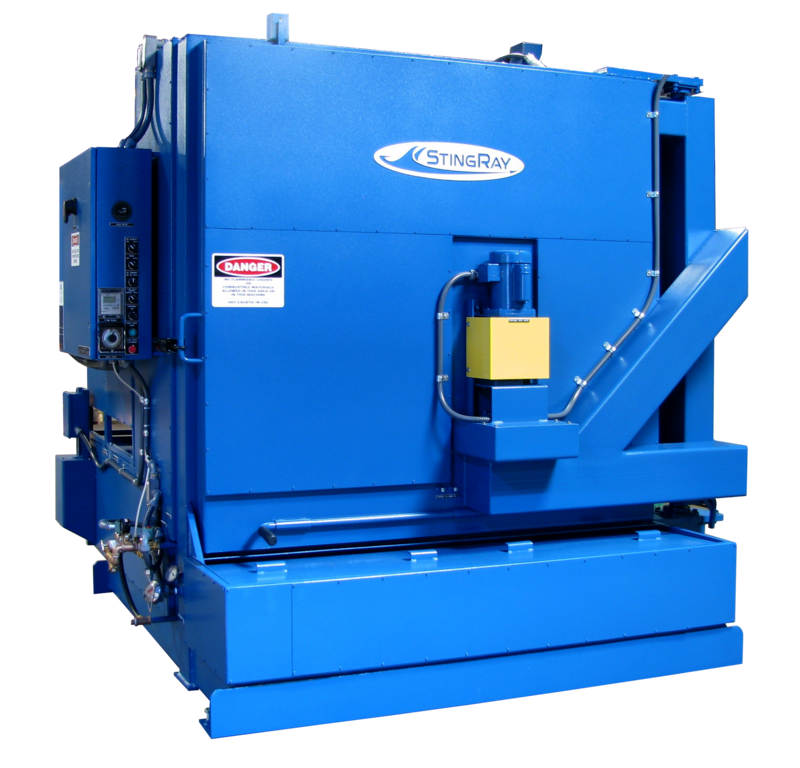 System filters all wash fluid before discharge through the industrial parts washer nozzles. 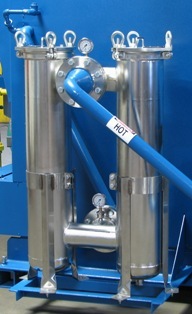 In-line filtration removes small particles before they are blasted back at the parts being cleaned. 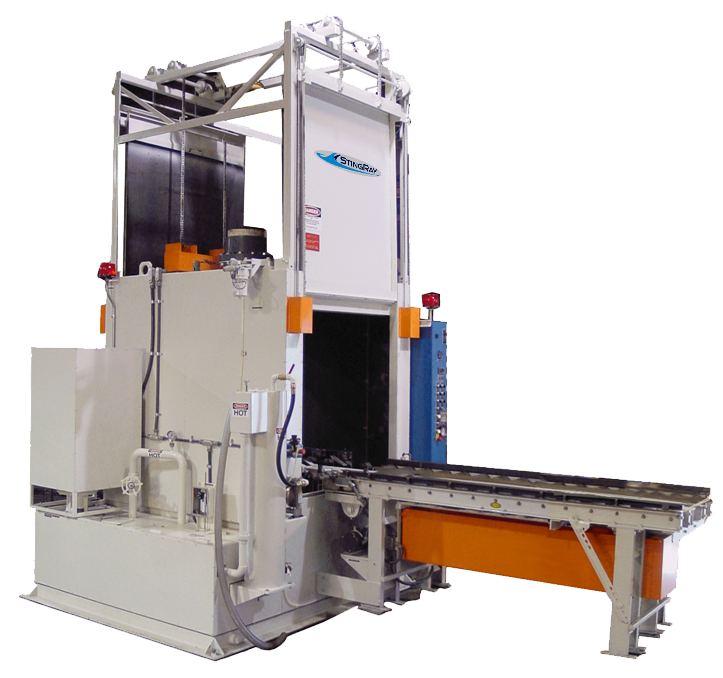 This eliminates the industrial parts washer grit blast effect for sensitive parts such as electric motor windings. The industrial filter system uses a bag filter housing with large area heavy-duty strainer basket and low pressure drop across the filter element. Standard filtration is 100 micron with a complete range of optional filtration levels. The carbon steel filter housings rated in excess of full parts washer pressure has swing-away sure-seal lid with O-Ring seal. Filter bags insert into the housing from the top. The housing cover swing-bolts are easily opened without special tools and the bags are easy to clean in the industrial parts washer. Differential pressure gages before and after the filter indicate washer service times. Gages are protected and isolated from the parts cleaning solution via a glycerin filled diaphragm isolator to protect the gage from damage. Glycerin filling dampens the normal gage vibrations for easier reading. Large capacity industrial housings reduce the need for frequent clean out. Drain port in bottom of filter housing allows for complete draining during clean out. The StingRay engineered system prevents siphoning of the filter housing through the wash nozzles after the wash cycle to reduce water hammer at start-up and provide an effective rinse. All flow connections outside of the industrial parts washer reservoir are flanged with gaskets for reliable maintenance-free service.